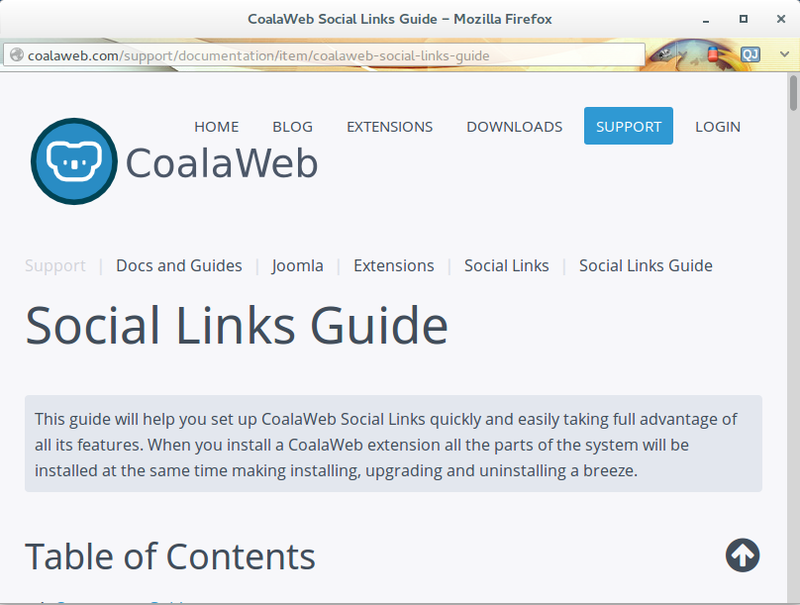 This guide will help you set up CoalaWeb Social Links quickly and easily taking full advantage of all its features. When you install a CoalaWeb extension all the parts of the system will be installed at the same time making installing, upgrading and uninstalling a breeze. Where is my Download ID? CoalaWeb Social Links is a complete social media package to help your site visitors share content, follow you through a variety of social networks and vote for particular content with social buttons. There are two versions available a Core (Free) and Pro (Paid Subscription) version that comes with extend functionality. To make it easier to follow I have broken up the Counts information into two parts. 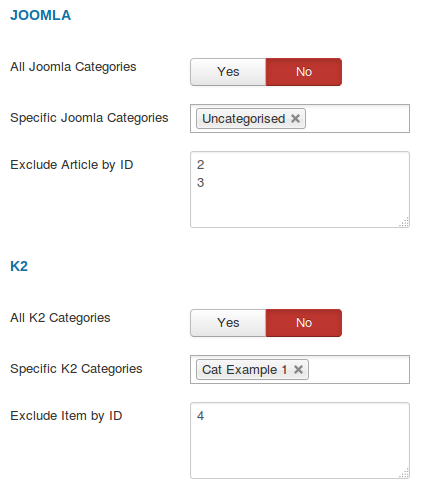 If you are familiar with the latest versions of Joomla you will already know what features are avaliable in the Counts view and how to use them but if your not read on to get a brief summary. 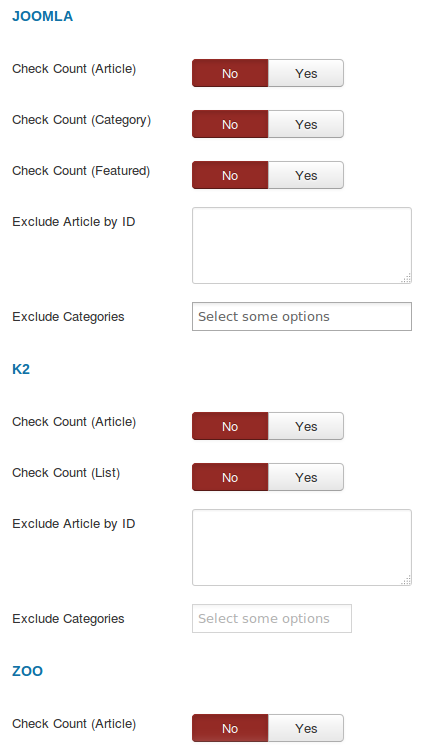 In the Counts view you can filter by any column and search by title and published state. From this view you can also change an items published state by using an individual items Status button or multiple items by selecting them and using the buttons at the top. You can also directly delete an item rather than send it to the Trash by hovering over it's name and using the drop down selector. To edit an item you can click on it's Linked Title or select it and then click the Edit button from the top or hover over the title and the use the drop down and select Edit. Once in the edit screen you can see all the information related to a particular URL including it's Individual Counts, Time, URL and Title. You can give it an Alias which will make identifying it in the list view much easier or let the system add one when you save the item. In the control panel or the tool menu you have an options icon that when clicked will open a new window containing the various extension options. I recommend at least setting up the new system by creating a Facebook App then if Facebook decides to completely remove the Sharer system you can easily switch over. Note: cURL is necessary for the system to function correctly. 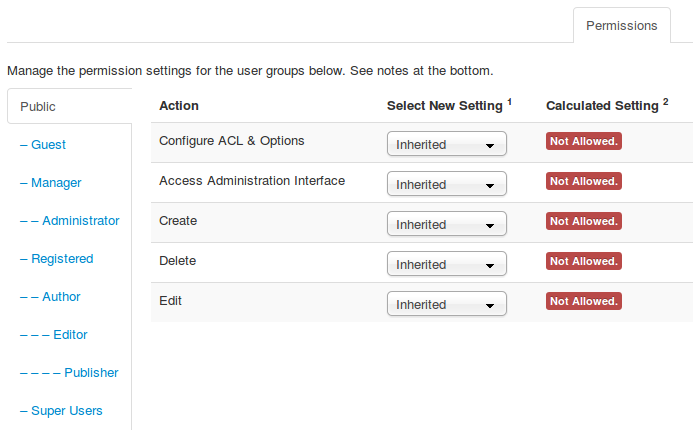 Now that we have made sure cURL is installed lets move onto the configuration options. The first option is whether to turn on the shortening system and which service you wish to use (Currently only Google is available). Next enter the API Key your received from your shortening service provider making sure to not leave any extra spaces. For more info on how to get an API key scroll down to How do I get an API Key? I recommend at least turning it for the Social Links module as there aren't any visible counts. 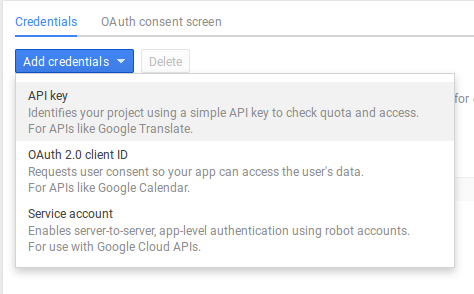 Steps for creating API key for Google URL Shortening. 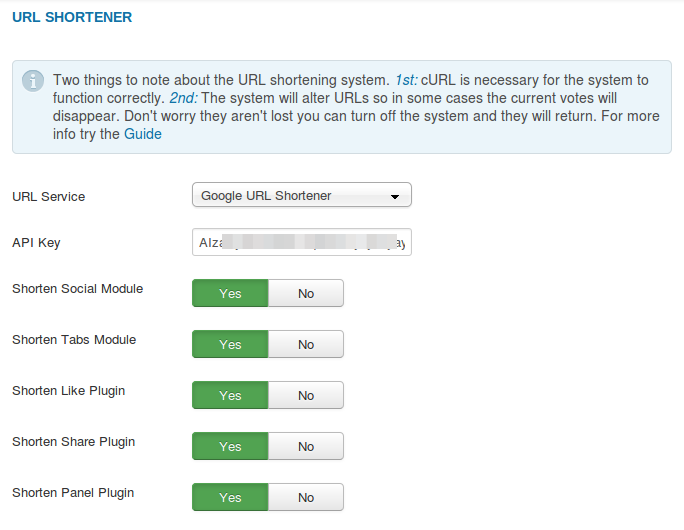 Scroll down until you find URL Shortener API and select it. In the next window click the Enable API button at the top. Next select Credentials from the left menu. 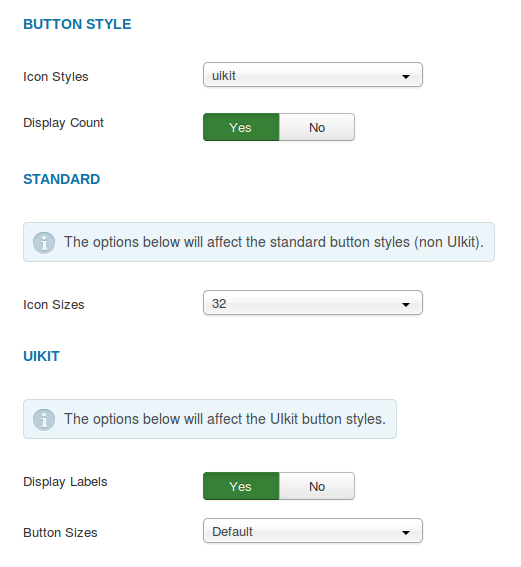 Some of the options selected here will affect the display of the buttons in Joomla, K2 and Zoo. 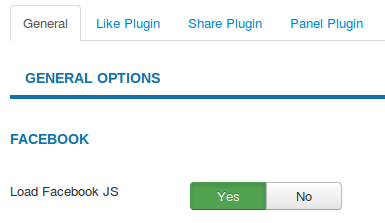 To make it easier to follow I have broken up the Like Plugin Options into three parts. 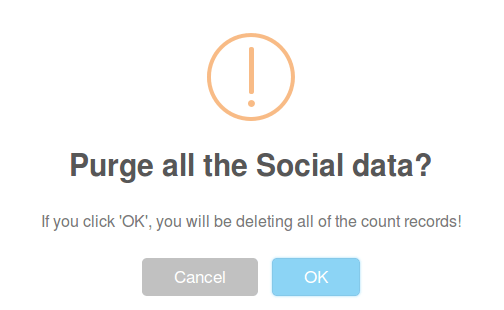 The first option is to turn on or off the display of the like social buttons. 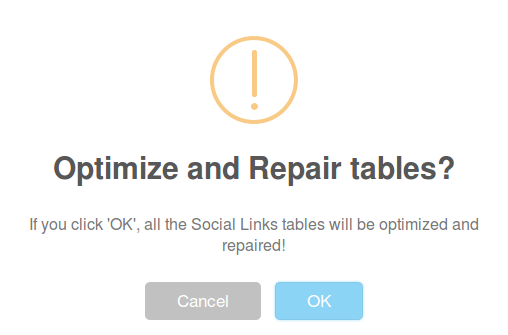 This option does in essence the same thing as unpublishing the associated plugin with out the hassle of searching through the plugins. 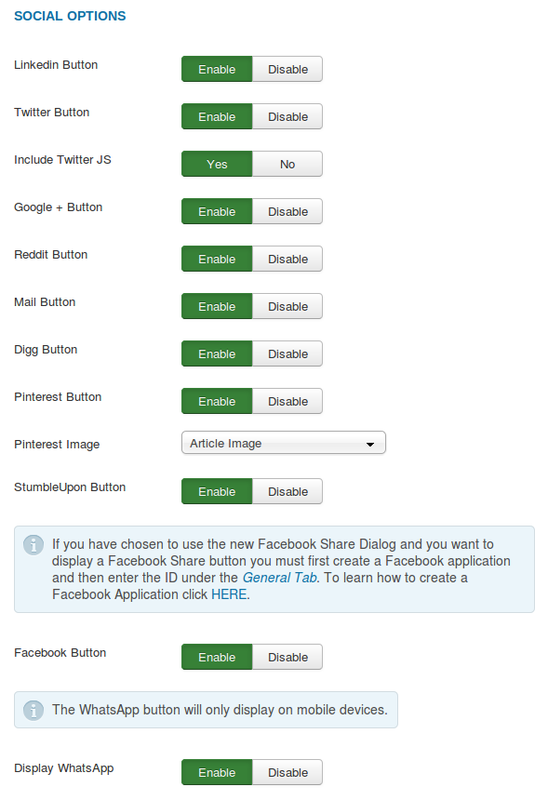 To make it easier to follow I have broken up the Share Plugin Options into four parts. 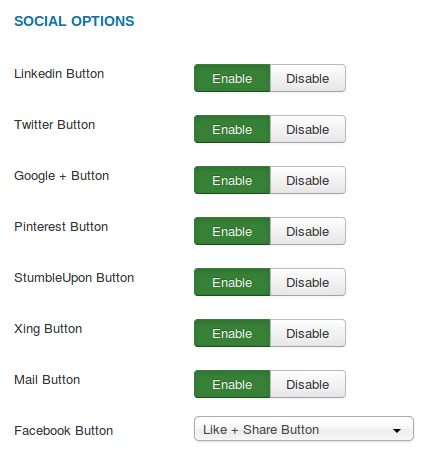 The first option is to turn on or off the display of the share social buttons. This option does in essence the same thing as unpublishing the associated plugin with out the hassle of searching through the plugins. The counts for the share buttons depend on your settings in the **Count** tab. Note: The WhatsApp button will only display on mobile devices. To get a Facebook App ID requires you to first create a Facebook Application but don’t worry it’s an easy process which we will walk your through in this GUIDE. The Panel plugin is no longer under active development. For a more flexible, modern and mobile friendly alternative try the CoalaWeb Tabs module. 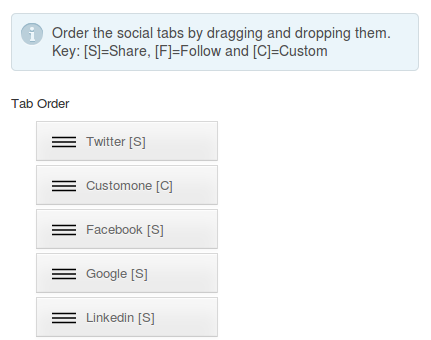 To make it easier to follow I have broken up the Social Panel Plugin Options into five parts. 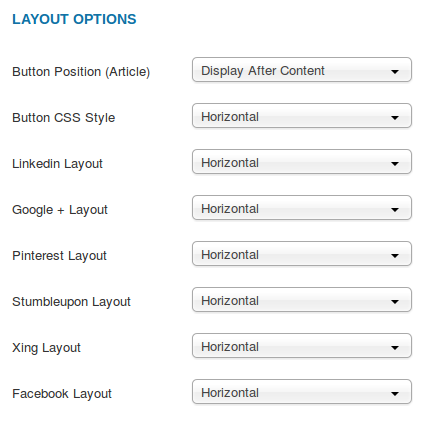 Next are the Layout & Style Options these options will affect both the Fixed and Collapse style layouts. First you can choose if you want the panel to be visible all the time displayed to the side of the article content or Collapse which will hide the panel off the side of the page. The Collapse option becomes visible by clicking a tab that extends from the side of the page. The next option allows you to choose which side you want the panel displayed on. 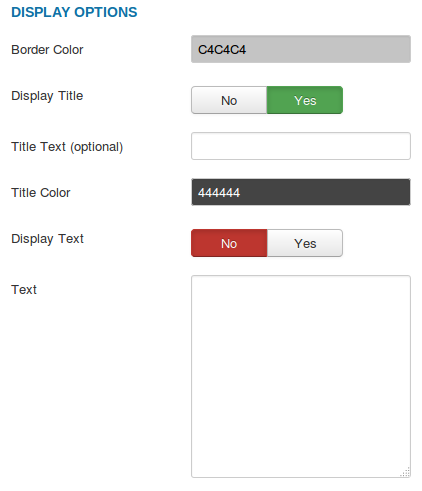 The next option allows you to choose a Theme for the panel. I have included a few and will expand it over time but if you want to create your own have a look below. 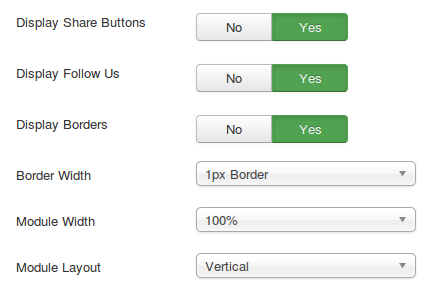 The buttons also have style options associated with them, you can display them in Vertical [Bubble], or with No Count. The Mail and Twitter buttons are only avaliable in the No Count layout so they don't appear in the list. Give the theme a different name and edit the files as needed. 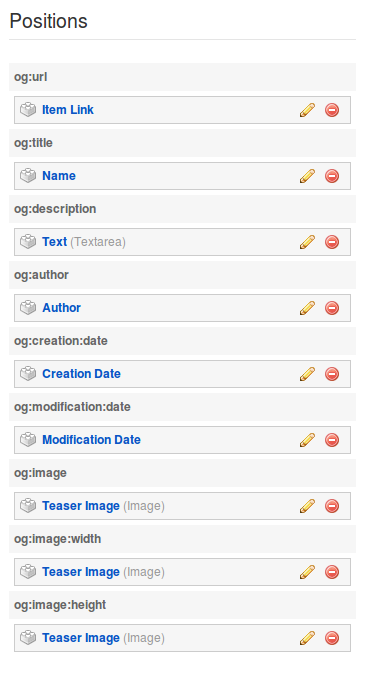 All the folders located in the themes directory will automatically be listed in the Form Theme select list. The Fixed Style will automatically convert to Collapse when the page reaches a certain size. 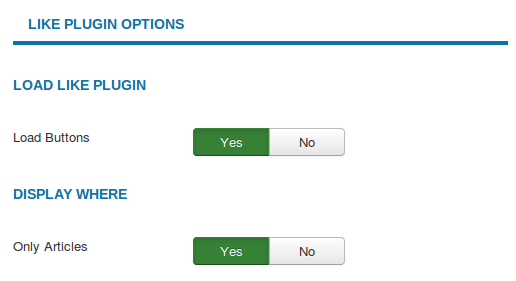 The next couple of option only affect the Collapse panel style. 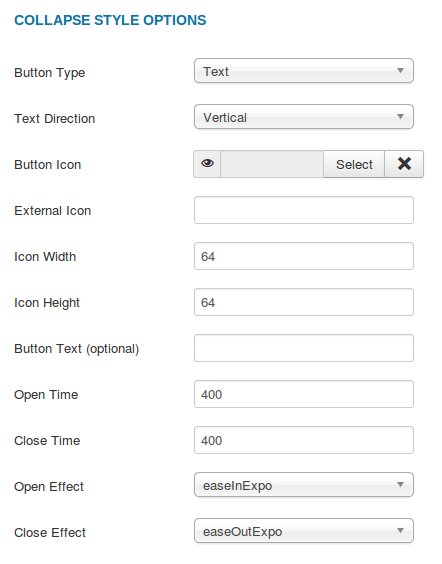 First you can choose the type of button(tab) to want to use to trigger the display of the panel. If you choose Text in the next option you can decide to have the text/button displayed vertically or horizontal. If you choose Icon you will have to fill in three of the next four options. First choose the icon you wish to use it can be stored locally or you can use an external URL for the image. Next set the width and height of the icon in pixels. Note: Just enter a number here with out the px. If you choose to use text which is a a great option for multilingual sites you can change the displayed text here. The default text is Share but if you do plan to use it on a multilingual site it would be better to use the language files or an override to manipulate this text. The CoalaWeb Metadata system will help generate meta data in the Open Graph, Twitter Card and Schema.org formats and then place it in the head of your web pages. This information will then be used by elements such as the Facebook, Twitter and Google + vote and share buttons to get the best representation of the content being shared or voted on. To make it easier to follow I have broken up the Metadata Options into several parts. The priority order in which each meta tag is selected is outlined below. 1st attempt: The first place the system will look is the CoalaWeb tab displayed in the Category, Article and Menu editors. This will always take priority over any other possible setting. If you set a type using the category editor tab this will be used in a category blog layout as there are multiple articles on the page. If you have set a type using the article editor tab then it will be used when viewing that specific article. 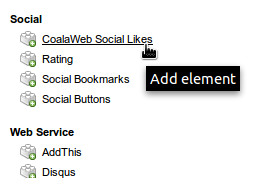 For non content type items like a contact page the CoalaWeb menu editor tab can be used. The best way to set up the type is to use Article for the default type and for category blog layouts assign a type of blog to the category using the CoalaWeb override tab in the category editor. 1st attempt: The first place the system will look is the CoalaWeb tab displayed in the both the Category and Article editors. This will always take priority over any other possible setting. If you set a title using the category editor tab this will be used in a category blog layout as there are multiple articles on the page. 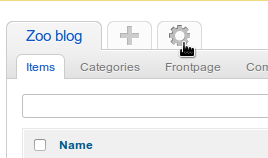 If you have set a title using the article editor tab then it will be used when viewing that specific article. For non content type items like a contact page the CoalaWeb menu editor tab can be used. Category View = The category title. Featured View = The title of the first article. Article View = The title of the article being viewed. 4th attempt: If a title still hasn't been found and you have added a Fallback title it will be used as the last resort. A page description expands on the page title by including additional details typically used as a document preview. The description should provide a concise summary of the page in approximately 200 characters or fewer. 1st attempt: The first place the system will look is the CoalaWeb tab displayed in the both the Category and Article editors. This will always take priority over any other possible setting. If you set a description using the category editor tab this will be used in a category blog layout as there are multiple articles on the page. If you have set a description using the article editor tab then it will be used when viewing that specific article. 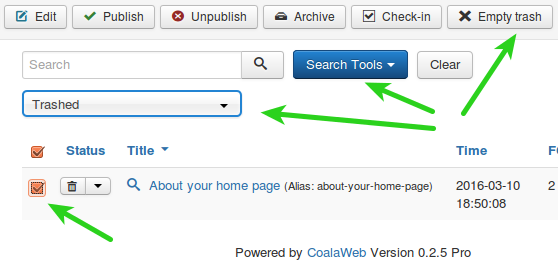 For non content type items like a contact page the CoalaWeb menu editor tab can be used. 3rd Attempt: If you haven’t chosen a default description the system will move onto the meta description of the article being viewed or of the first one displayed in Blog or Featured view. 4th attempt: If the first three options return no description its on to the intro text of the article being viewed or of the first one displayed in Blog or Featured view. The plugin will attempt to extract the first 300 words of the intro text and use those as your description. 5th attempt: If a description still hasn't been found and you have added a Fallback description it will be used as the last resort. 1st attempt: The first place the system will look to is the CoalaWeb tab displayed in the both the Category and Article editors. This will always take priority over any other possible setting. If you set an image using the category editor tab this will be used in a category blog layout as there are multiple articles on the page. If you have set an image using the article editor tab then it will be used when viewing that specific article. 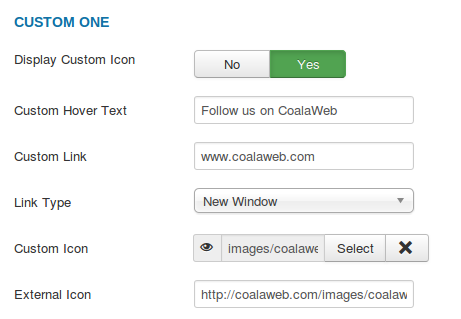 For non content type items like a contact page the CoalaWeb menu editor tab can be used. The next option has been superceded by the Meta Fields system that adds a CoalaWeb tab to both the category and article editors. I have left it in to stop issues with users that have already set it up. 3rd attempt: If you haven’t used either a CoalaWeb override tab or the default image field then the system move on to searching the cwopengraph folder [images/cwopengraph] for an image that matches the id of the current article. For example you want a specific image for your latest article which has an ID of 1 then rename the image you want to use to 1.jpg and upload it to the image/cwopengraph folder. The plugin will search in this folder for matching images and if it finds one it will be add to the og:image and twitter:image meta tags. Supported image types are jpg, png and gif. 4th attempt: If the previous options have failed to return an image the system will next look to the articles Intro Image and if it finds one it will be used. 5th attempt: The next thing the system will do is search through the article content to find an image and if it does that image will be used. 6th attempt: If an image still hasn't been found and you have added a Fallback image it will be used as the last resort. Note: FB will only use images that are at least 200x200 px. 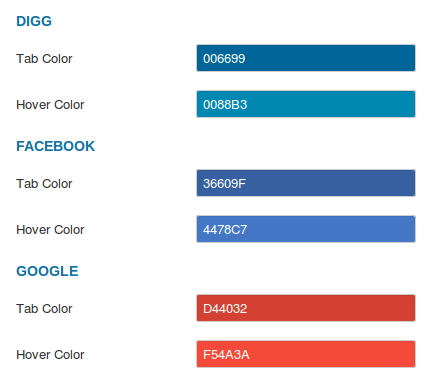 FB prefers images that are measured in multiples of 100 and square format. Note: Twitter will only use images that are at least 280x150 px. Note: Google will display the image in a large format (full-bleed) if it is at lease 400px wide with an aspect ratio no wider that 5:2(width:height) other wise it will be scaled and cropped. 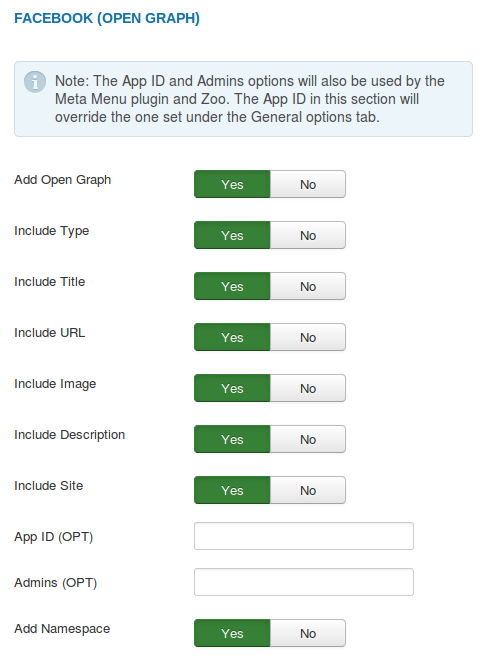 Note: The App ID and Admins options will also be used by the Meta Menu plugin and Zoo. The App ID in this section will override the one set under the General options tab. Note: Google has certain requirements to pass it's **Structured Data Test** so please fill in all the fields below to make sure your pages comply. Note: For Zoo content please be sure to assign elements to all the available positions in the **CW Open Graph** layout. Click [Here](#plg-og) for more info. 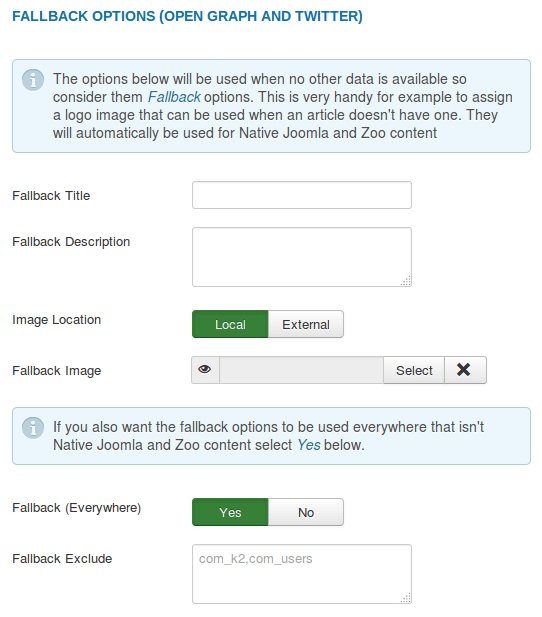 The Fallback (Everywhere) option gives you the ability to use the fallback system everywhere that isn't Native Joomla and Zoo content. 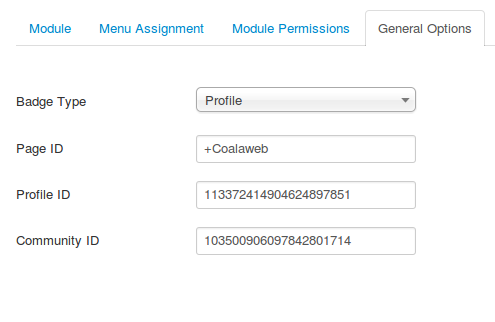 Note: For menu items this can still be overridden on a per menu bases using the CoalaWeb tab in the menu editor. Note: It's recommend to leave these options blank. 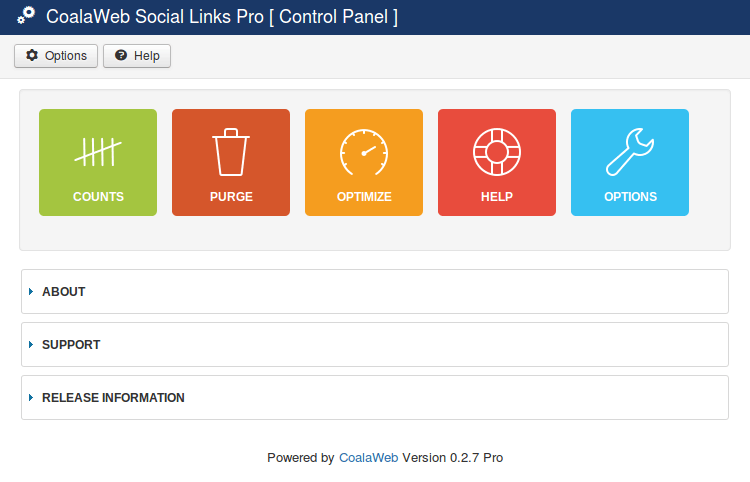 The CoalaWeb Social Links extension integrates with the inbuilt Joomla Update system so both Core and Pro users can keep their extension up to date. 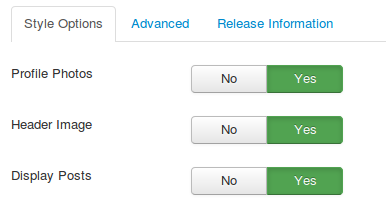 For Core users when you see updates listed in the Joomla update manager feel free to select it and update. TIP: To stop any typos I recommend copying and pasting the Download ID and also to check for no spaces at the end. To make it easier to follow I have broken up the General Display Options into three parts. Give the theme a different name, edit the files as needed and of course add your custom icons. 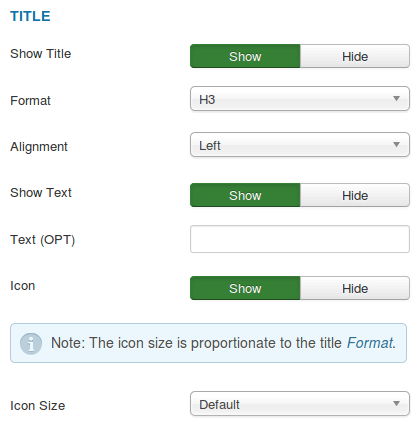 All the folders located in the themes-icon directory will automatically be listed in the Icon Styles select list. To make it easier to follow I have broken up the Share This General into two parts. If you want the same title to be used for all of the Share This icons all of the time add it here. If have chosen a default link I recommend you add a default title as well. If left blank the current title will be used. 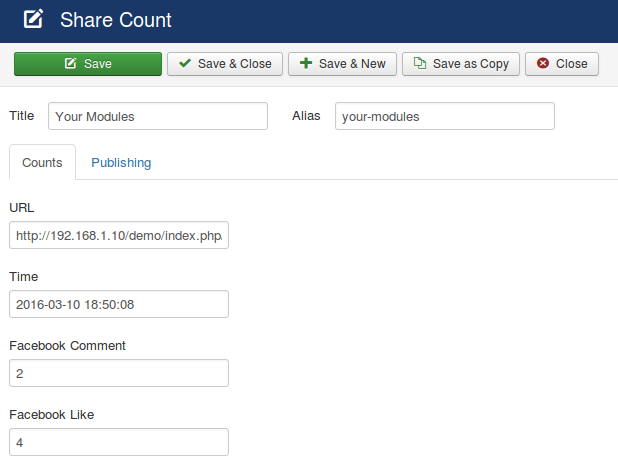 This section controls what is displayed in the Share This part of the module. You can choose to display a title including what text will be displayed. 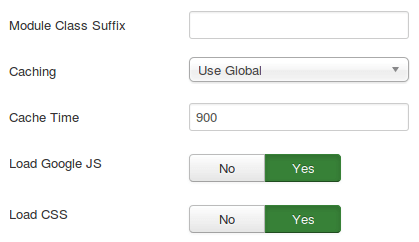 If you have a multilingual website please leave text fields found through out the module configuration blank and instead use language files/overrides to control the text or create a separate module for each language. 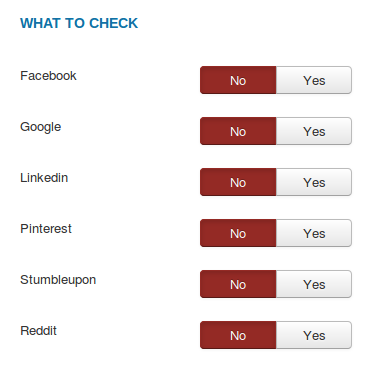 To make it easier to follow I have broken up the Share This Social Options into two parts. Facebook has announced that they have deprecated the Sharer code in preference of their new Share Dialog system, which requires a Facebook App ID. 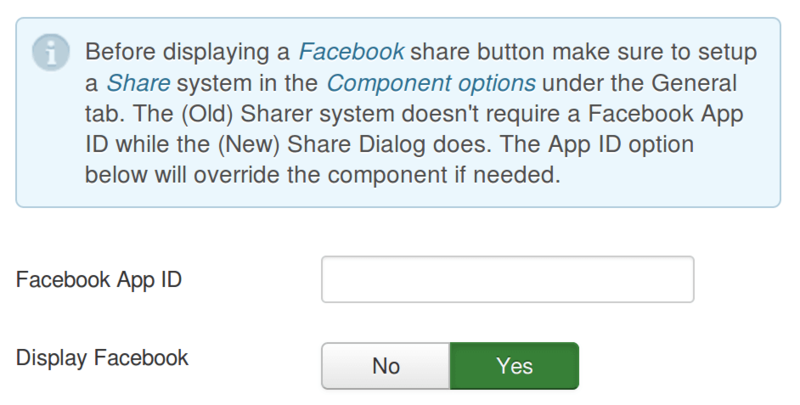 If you plan to use the new Share Dialog you will need to create a Facebook application first and then copy and paste the ID into the Component options under the General tab. 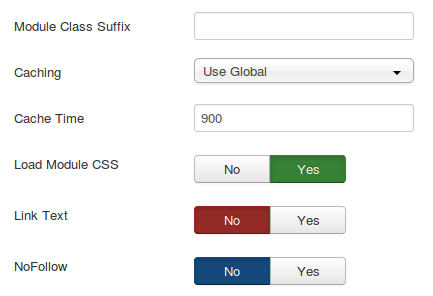 The option below will override the component if needed. For more info on how this is done read below. This section controls what is displayed in the Follow Us part of the module. 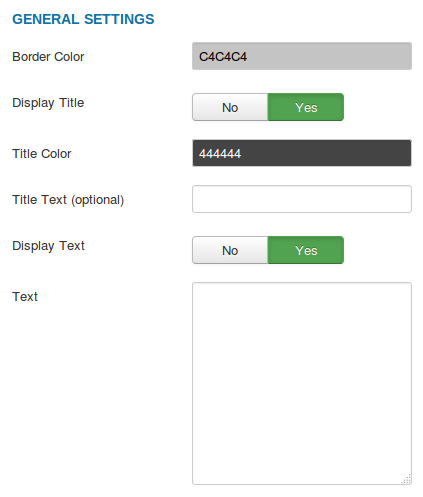 You can choose to display a title including what text will be displayed. Due to popular demand there is now a Custom Option and for PRO users Three Custom Options to help with those situation where only a custom icon will do. To add a custom icon is very similar to a standard Follow Us option you have to chose to display it, add a link and a few more options. First lets decided if we want a custom button to display at all. Next is the Hover Text this displays when the icon is hovered over by a mouse. Now we have an important one the link to the place you want the user to visit if they click the button. The next options allows you to choose it you want the link to open in the same window maybe for a contact form on your site or in a new window if they are leaving your site. When choosing a icon keep in mind what size you selected in the General Options section. 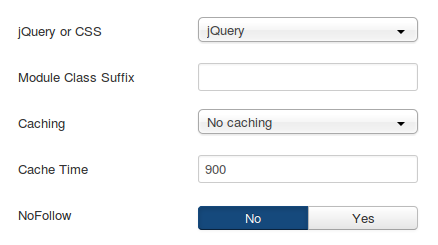 The CoalaWeb Social Links module also has a few of what I consider Advanced Options such as the option to assign a Module Class Suffix or choose whether to use Cache including the Cache Time. To make it easier to follow I have broken up the General Display Options into four parts. 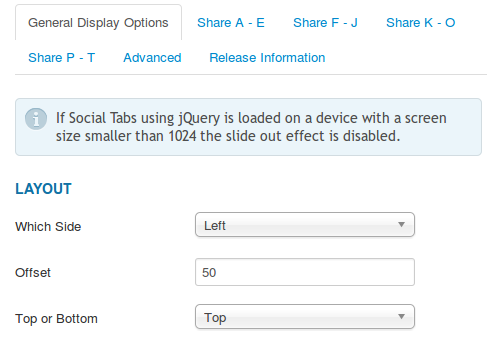 Note: If Social Tabs using jQuery is loaded on a device with a screen size smaller than 1024 the slide out effect is disabled. 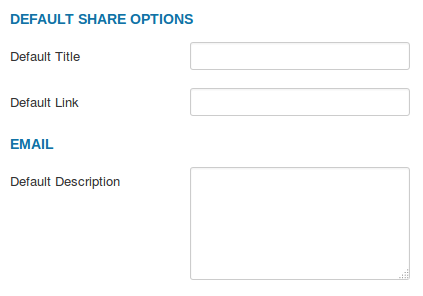 To make it easier to follow I have broken up the Share Options into two parts. 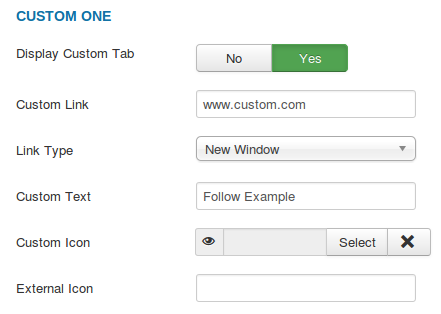 Due to popular demand there are now two Custom Option to help with those situation where only a custom tab will do. To add a custom tab is very similar to a standard Follow Us option you have to chose to display it, add a link and a few more options. First lets decided if we want a custom tab to display at all. Now we have an important one the link to the place you want the user to visit if they click the tab. The next options allows you to choose it you want the link to open in the same window maybe for a contact form on your site or in a new window if they are leaving your site. When choosing a icon keep in mind the standard icons are 48px png images with a clear background. To make it easy to identify which tab is which I have added a key letter to the end of each of their names for more details see below. Note: This module supersedes the depreciated CoalaWeb Likebox module. Share the Page with one click. Like the Page with one click. Quote: The minimum supported widget width is 280 pixels. Note: The URL should be in the following format https://www.facebook.com/CoalaWeb. The first option in this section is what default width you want to set for the widget. 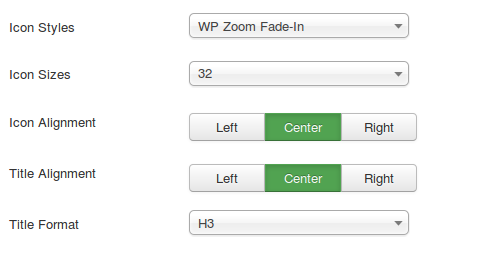 The Page Widget will automatically adapt to the width of its parent element on page load (min. 280px / max. 500px). If the width of the parent element is bigger than the Page Widget width it will maintain the value defined in Widget Width. The next option allows you to set the default height for the widget. 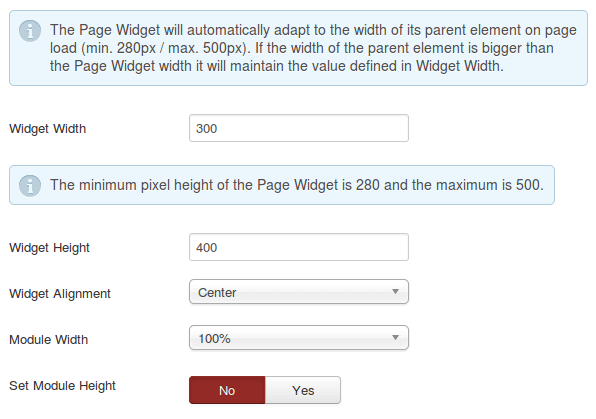 The minimum pixel height of the Page Widget is 280 and the maximum is 500. The next option is for the widget alignment which is handy for when you have a large space and you want the widget aligned to the center of it. 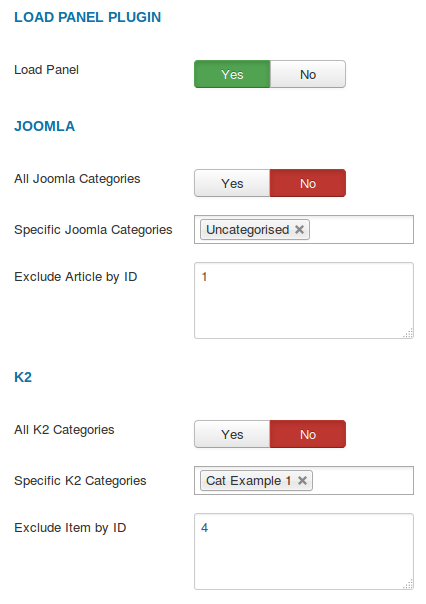 The next option is the Module Width not to be confused with the Widget Width this is the surrounding Joomla module. You might want to reduce this width if for example you only have two modules displayed at the bottom of your page and you want the Page to be a bit more compact. Don't forget the Page Widget will automatically adapt to the width of its parent element on page load as I mentioned at the start of this section. 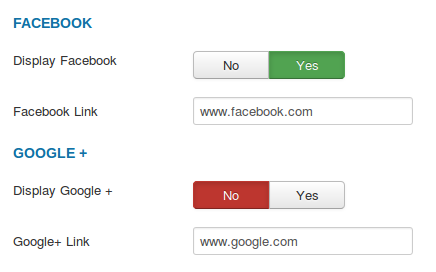 CoalaWeb G Plus is a social module that helps you link your Google+ page to your site. Get more recommendations for your site in Google search and grow your audience on Google+. Note: If you need more than one type of badge just create another module. To make it easier to follow I have broken up the Layout & Style Options into two parts. The options found here will affect all the badge types. 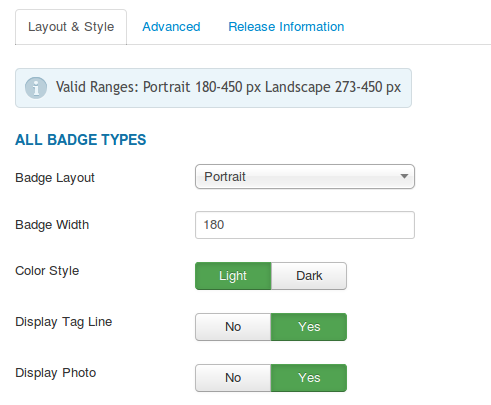 The first one is Layout, you can choose to display the badge in Portrait [Vertical] or Landscape [Horizontal]. Next you have the option to choose the width of the badge in pixels. The following ranges are valid: Portrait layout 180-450 pixels Landscape layout 273-450 pixels. Next you have a choice of Light or Dark. Note: These badge color styles are controlled by Google. CoalaWeb Tweet is a social module designed to display a particular Twitter users feed. 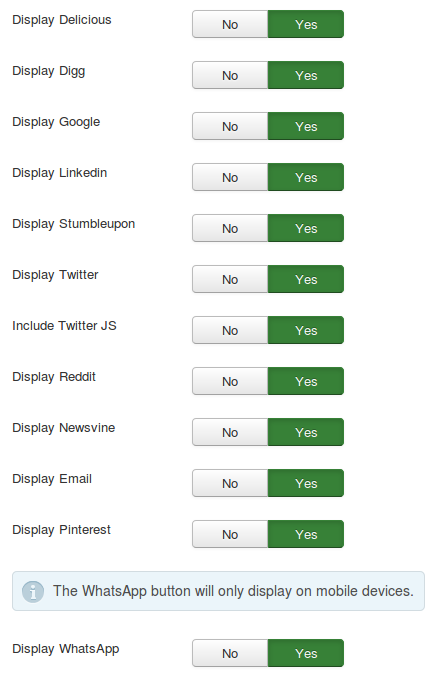 It has a long list of options from controlling how many tweets are displayed to their format and style. In this section you will be able to control the look and feel of each of the displayed Tweets. To make it easier to follow I have broken up the Tweet Options into four parts. Note: The icon size is proportionate to the title Format. The CoalaWeb Social Likes plugin is a content plugin designed to display all of the popular social networking vote buttons in several formats and locations within your Joomla and K2 content. The CoalaWeb Social Share plugin is a content plugin designed to display all of the popular social networking share buttons with several icon themes and locations within your Joomla and K2 content. 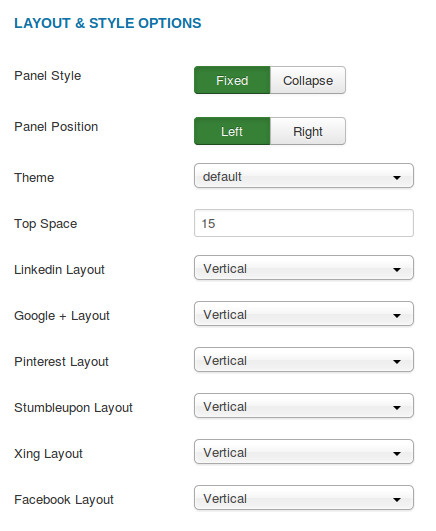 Social Panel needs jQuery to function correctly. If you don't already have it loaded use the System - CW Gears plugin. 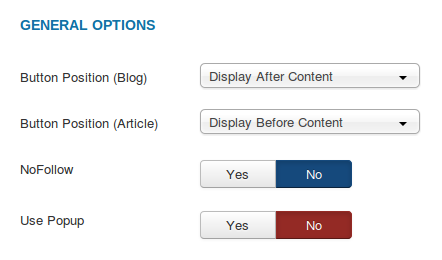 The CoalaWeb Social Panel is a content plugin designed to display a variety of social network vote buttons in your Joomla and K2 article views. They will be displayed in a vertical collapsible bar to the side of the article content. To make it easier to follow I have broken up this section into three parts. An Open Graph object is a regular web page with additional structured data marked up using RDFa Core 1.1 syntax placed in your HTML document's element. 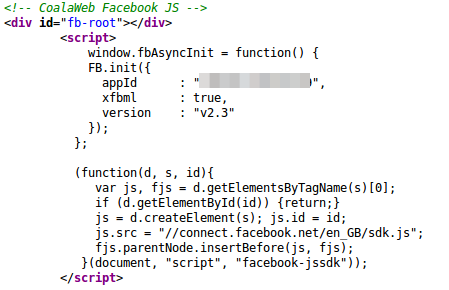 A Facebook server downloads a copy of your web page, extracts relevant data, and stores an object representation for future use. Facebook attempts to extract relevant data from links shared on Facebook as well as URL properties passed as part of an Open Graph action. Facebook Open Graph objects are marked up using Open Graph protocol,properties specific to Facebook, and properties specific to your Facebook application. With Twitter Cards, you can attach rich photos, videos and media experience to Tweets that drive traffic to your website. Simply add a >few lines of HTML to your webpage, and users who Tweet links to your content will have a “Card” added to the Tweet that's visible to >all of their followers. When you share something through Google the information that is included in the accompanying window (rich snippet) can be more accurately chosen using schema.org tags. 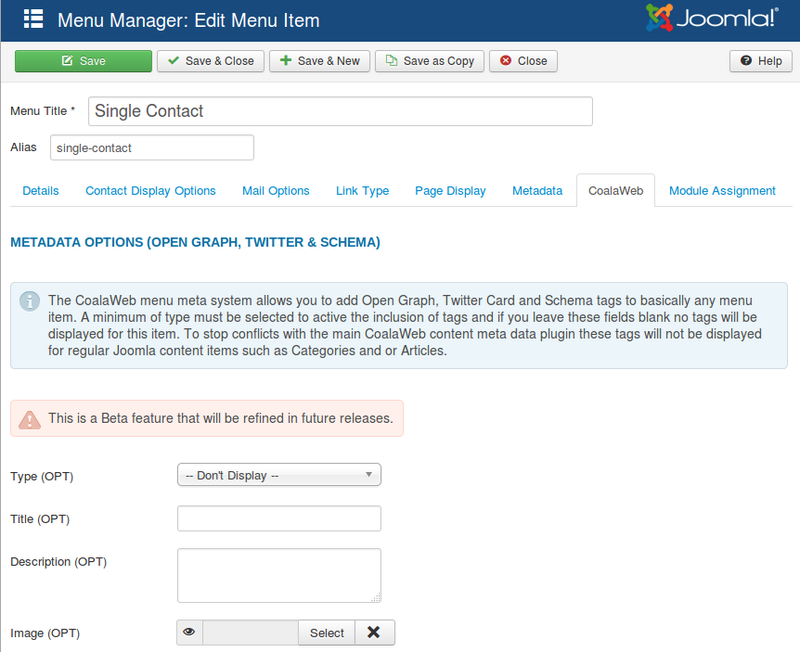 The CoalaWeb Meta Fields content plugin helps add Open Graph and Twitter meta information to your Joomla content while using the Article and or Category editors. To make it easier to follow I have broken up Meta Fields into two parts. 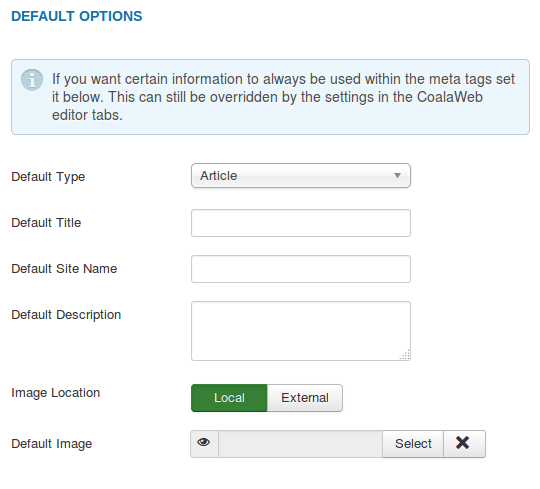 When using your article editor you will now have a new tab available called CoalaWeb. This new tab contains Metadata input fields that will override all other settings you have chosen and are specific to the article currently being edited. The first section gives you the opportunity to add a specific Type, Title, Description and or Image for the article being edited. 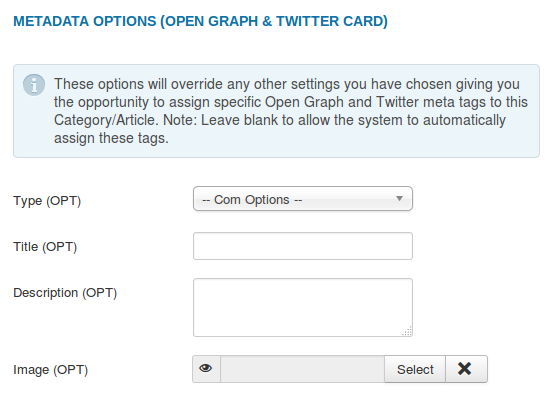 Depending on what you have chosen in the Component options these setting will potential affect the display of both Open Graph and Twitter meta tags. Note: This is really handy for articles that don't have any images but you still want one in your OG tags. When using your category editor you will now have a new tab available called CoalaWeb. This new tab contains Metadata input fields that will override all other settings you have chosen and are specific to the category currently being edited. You will have the opportunity to add a specific Type, Title, Description and or Image for the category being edited. 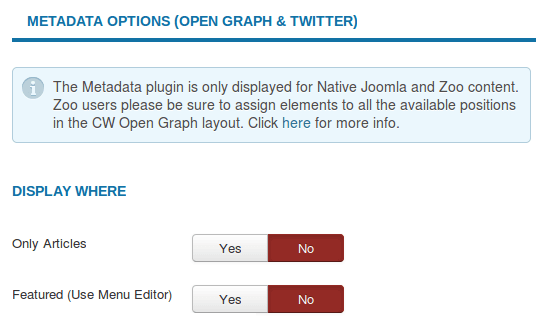 Depending on what you have chosen in the Component options these setting will potential affect the display of both Open Graph and Twitter meta tags. The CoalaWeb Zoo plugin is a system plugin designed to integrate custom elements & layouts into your Zoo applications. Currently there are two custom elements created by this plugin and they are explained in detail below. 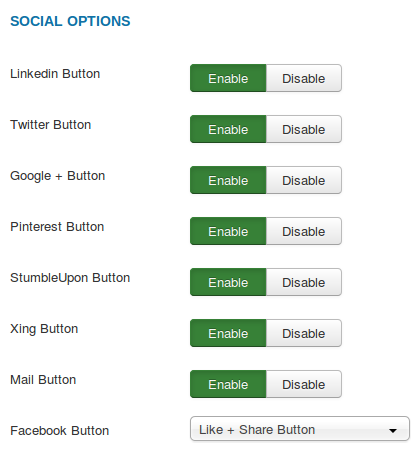 This custom element integrates a variety of popular social vote and or share buttons into your zoo applications. Once the plugin is installed and publish you will be able to carry out the following steps to get them displaying through out your Zoo content. This custom layout integrates Open Graph metadata into your Zoo content which makes sharing and voting much more accurate and professional. 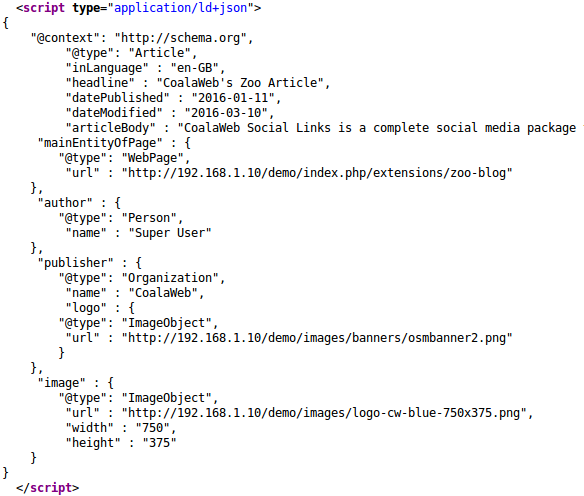 The Open Graph tags added to your Zoo content will come from two sources which are explained in detail below. The second source is the CW Open Graph Extension Layout which covers the following Open Graph tags. The next three positions are specifically used for Schema (microdata) so if you have turn this option on make sure to assign items to all of the avaliable positions. 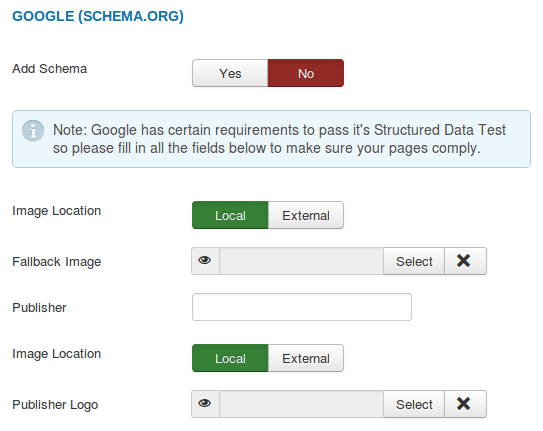 This will ensure that you pages pass Google's Structured Data Test. 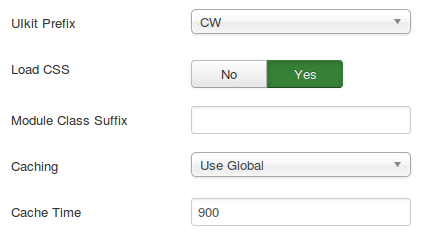 Setting up the CW Open Graph Extension Layout is easy just follow the steps outlined below.